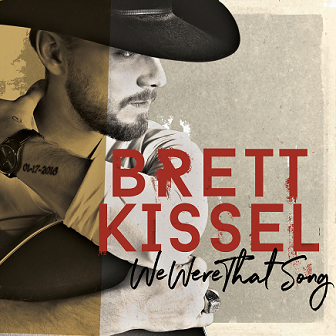 Brett Kissel – the CCMA Awards’ reigning Male Artist of the Year – has announced that his brand new studio album “We Were That Song” will be released on December 8. The album includes a collaboration with Megadeath’s Dave Mustaine on Damn! ; a duet with country music icon Charley Pride on Burgers and Fries; and the album’s title track – Brett’s 10th single to reach the top 10 at Canadian country radio. Brett teamed up with Grammy-Award winning producer Luke Wooten (Brad Paisley, Dierks Bentley, Chris Stapleton) and long-time collaborator Bart McKay (multiple CCMA Award Winner), as well as Kissel’s own bandmates – Justin Kudding, Spencer Cheyne, and Matty McKay. Last month, Brett announced details of a three-month Canadian tour beginning in January (see full list of dates below). 10-time CCMA Award winner Brett Kissel saw his first two major label studio albums earn Gold status – 2013’s Started With A Song and 2015’s Pick Me Up. His 2014 JUNO Award win for Breakthrough Artist of the Year marked the first time in 17 years that a country act took home this accolade. Brett has opened for the likes of Garth Brooks and Brad Paisley and crossed the country last winter on a sold-out, 19-date headlining tour. In 2016, Brett was the recipient of the Allan Slaight Honor from Canada’s Walk of Fame (previously presented to Drake, Shawn Mendes and The Weeknd), and was recognized as the International Artist of the Year at the Worldwide Radio Summit (an honour previously bestowed upon Ed Sheeran and Adele).